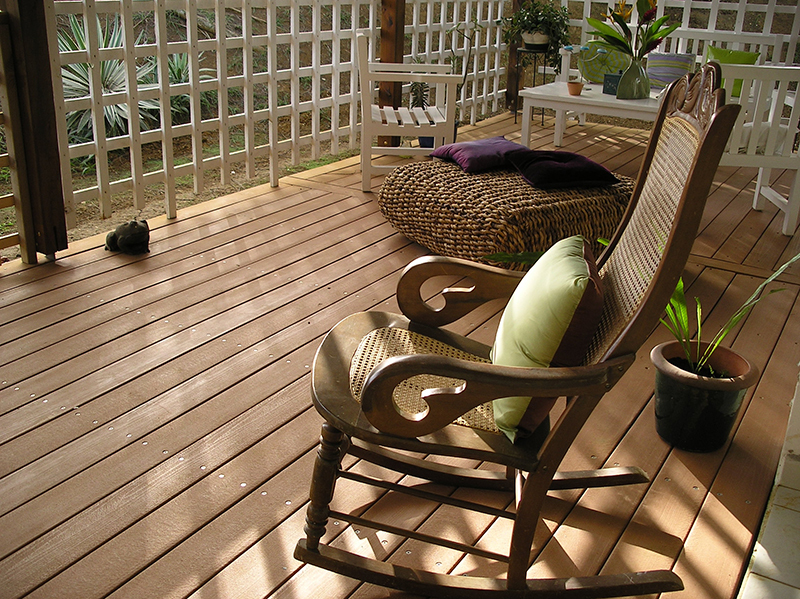 Perma-Deck boards are an attractive, practical and innovative solution for long-lasting decks, porches and balconies. Perma-Deck is offered in 6 attractive colours: grey, walnut, redwood, sand, green and black to accommodate your individual decking needs. Perma-Deck is environmentally-friendly, ultra-durable and is made from 100% recycled plastic. Similar to wood, Perma-Deck can be drilled, mitered and sanded! Known for its high performance results, Perma-Deck is the best alternative to innovative decking needs offering maximum durability with minimum care. Now you can enjoy your deck instead of working on it.